Welcome Everyone! 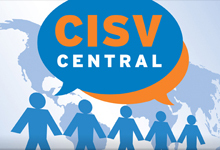 Let's Connect on CISV Central. We have set up a page to help if you have questions as you learn the new site. I hope everyone enjoys the new site.